The General Motors was founded on September 16, 1908. From Yahoo! 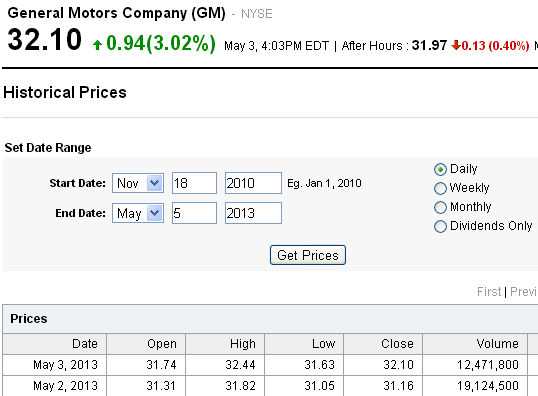 Finance you can download GM stock data back until 18 November 2010.